This post has been read 5498 times! 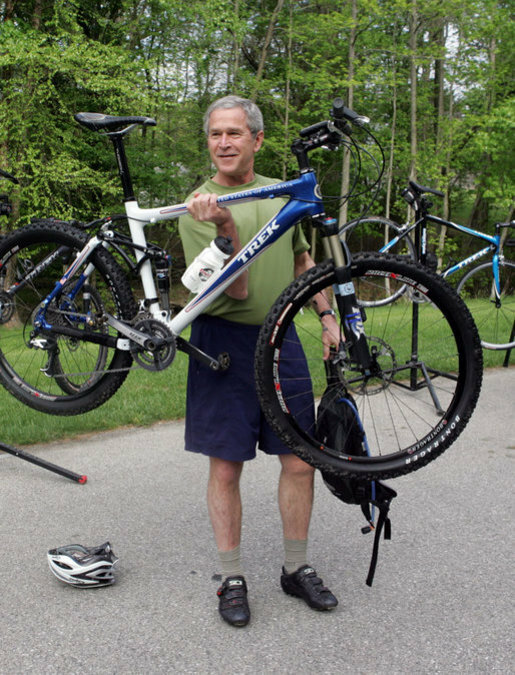 The press has reported extensively about President George W. Bush (The 43rd President) receiving a controversial coronary stent after a routine annual exam found a blockage in an unspecified coronary artery. A spokesperson for Mr. Bush said that the president received his exam from the Dallas Cooper Clinic, and was having no symptoms. After the stent was placed, the president was in good spirits. BatteryPark.TV has learned that the Cooper Clinic administers coronary CT-scans as routine screening measures during the “Executive” physical exams, and that no other symptom or test is needed to trigger a CT-scan. Even if the president were having chest pain, or a stress test had revealed ECG changes, then a coronary CT-scan is not the best study to order. Reports in the news from unknown sources claim that the president failed a stress test during his exam, and that those ECG changes triggered the CT-scan. Our information conflicts with those reports in that CT-scans are performed as routine screening for all “Executive” exam patients. In addition, the stress test rumored to have taken place is not an indicated test for an asymptomatic patient undergoing a routine annual physical. 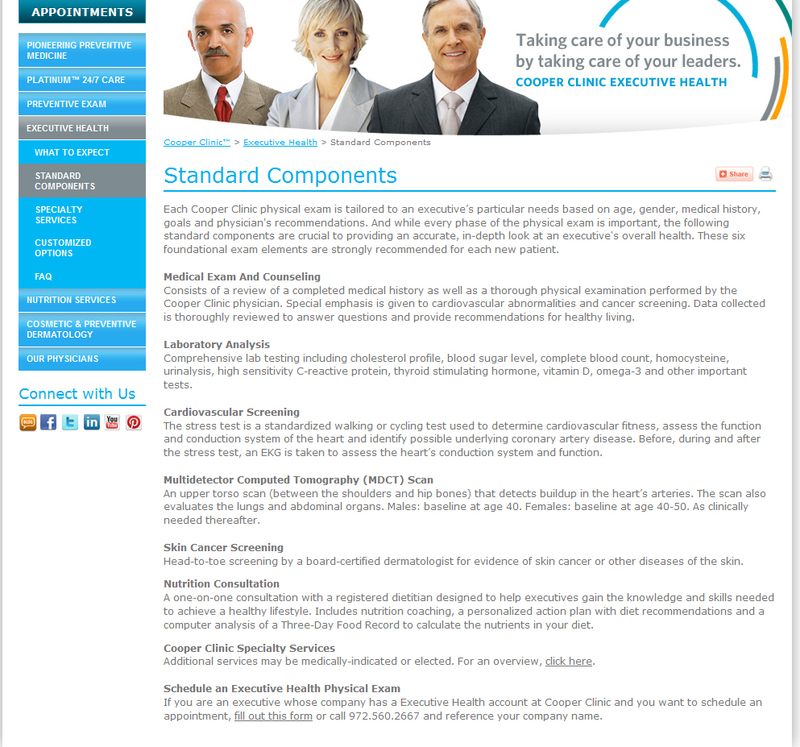 The Cooper Clinic is performing numerous diagnostic tests that are out of the normal evidence-based recommendations. The reason that this issue is important on national level is that cardiology practices been purchasing expensive CT-scanners, then self-referring patients for the studies, driving revenue for the practices. The problem arises not only from the self-referring conflicts of interest, but also from the total lack of clinical data evidence to support the use of coronary CT-scans for any reason. Coronary CT-scans deliver high doses of radiation that increase the risk of cancer. More concerning to the near-term health of patients is the so so-called “occulostenotic reflex” that happens when unnecessary imaging of the coronary arteries leads to unnecessary placement of stents. Coronary stents do not reduce the risk of future myocardial infraction, or prolong lifespan, in asymptotic patients whom have not suffered previous heart attacks. At best, stents reduce the painful symptoms of angina in patients with coronary artery disease. 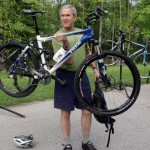 President Bush had no angina. Coronary stents also require the patient to take long-term powerful anticoagulants, such as Plavix, that greatly increase the risk of hemorrhagic stroke and serious gastrointestinal bleeding. 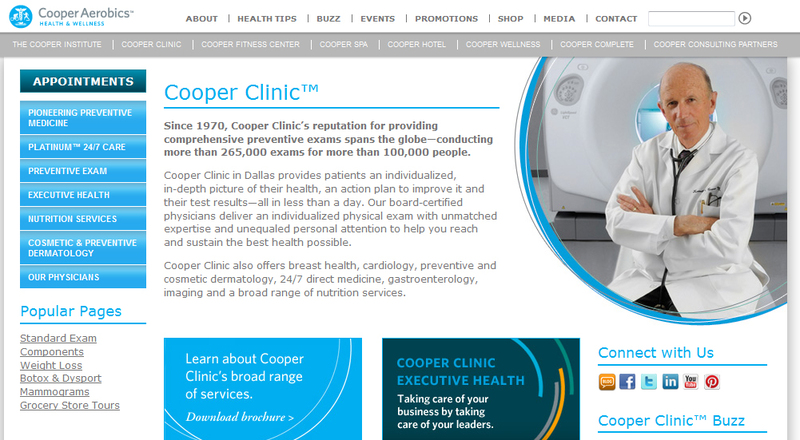 The homepage of the Cooper Clinic proudly displays a doctor sitting by a coronary CT-scanner. The page that explains the “Executive” annual exams lists “standard components” of the exam, which include the coronary CT-scan. They even boast that the elaborate tests delivered will “Cooperize” the patient. It seems that President Bush was Cooperized, and received an unnecessary stent as a result of unnecessary medical imaging. The Cooper Clinic delivered the worst of American healthcare to President Bush. In medicine, more is rarely better. It is becoming increasingly recognized by medical societies that most of the lucrative therapies and tests used in American medicine provide no benefit to the patients, and deliver harm in many cases. This entry was posted in - Federal government, -- In the News, Doctors, Dentists. Bookmark the permalink.